Revealed: Australia’s manliest and womanliest foods and drinks. The ABS have set up and released a brand new dataset on Australia’s food consumption. It’s a banquet, a buffet, an all you can eat smorgasbord of delight for data gluttons. Apparently we consume on average 3.1 kilograms of food and drink in 24 hours. It’s gross to think about. I’ve gone to the ABS website (or as I call it, the Sizzler of data) and brought you back a doggy bag of sample treats from this survey of 9500 dwellings. 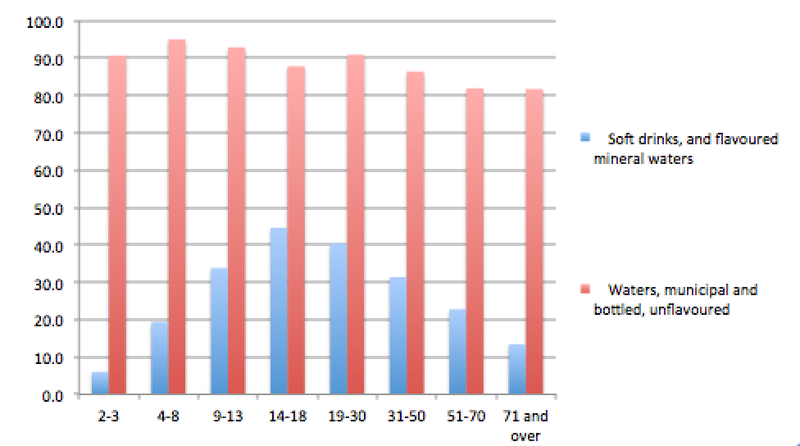 For example, guess what demographic drinks the least water?? How about this? Coffee is clearly for people with work to do, while the under-13s and over-71s are busy hosting tea parties. 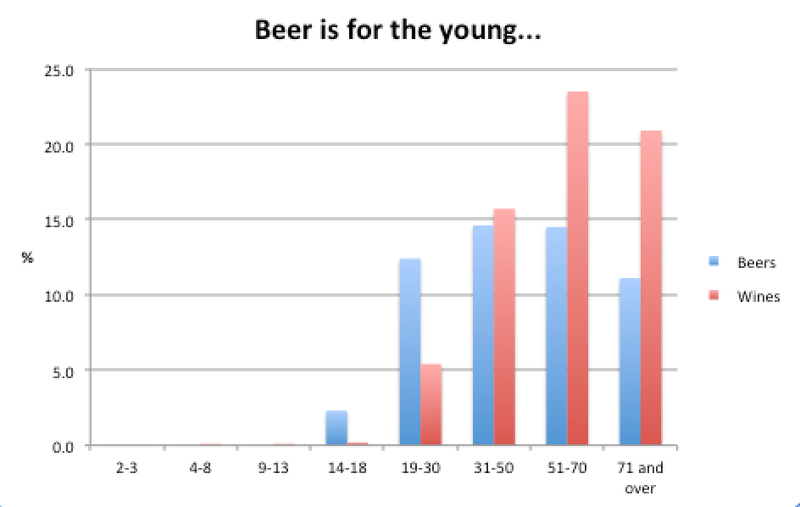 I’d note the ABS probably did this survey during the week, and alcohol consumption is more skewed to the weekend. Anyway, the dataset is big and quite amazing, and I was able to run some numbers to see what foods and drinks are more skewed to men and women. 1. 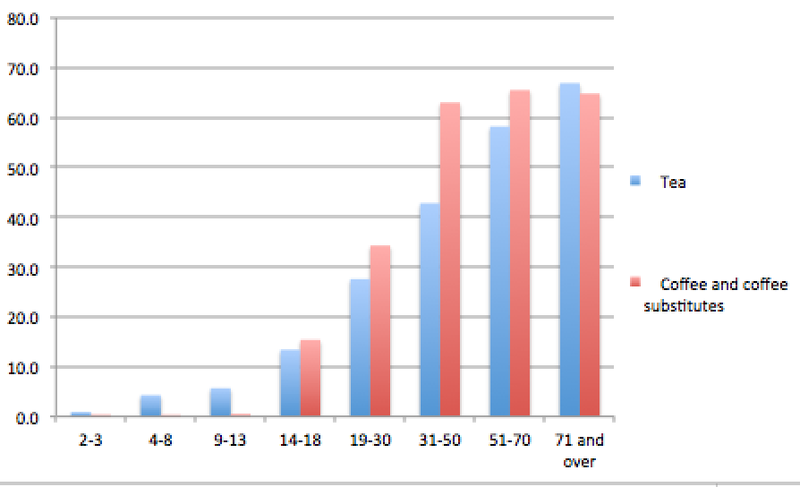 The biggest skew in the whole dataset was for men aged 51-70. 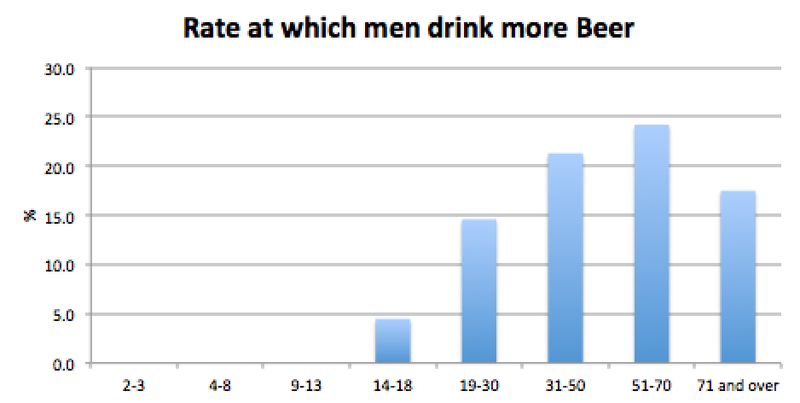 In that age bracket, men were ten times as likely to have chugged back a brew in the preceding 24 hours. 26.8 per cent of men, vs 2.6 per cent of women. 2. The next biggest skew in the whole dataset was from women aged 19-30. 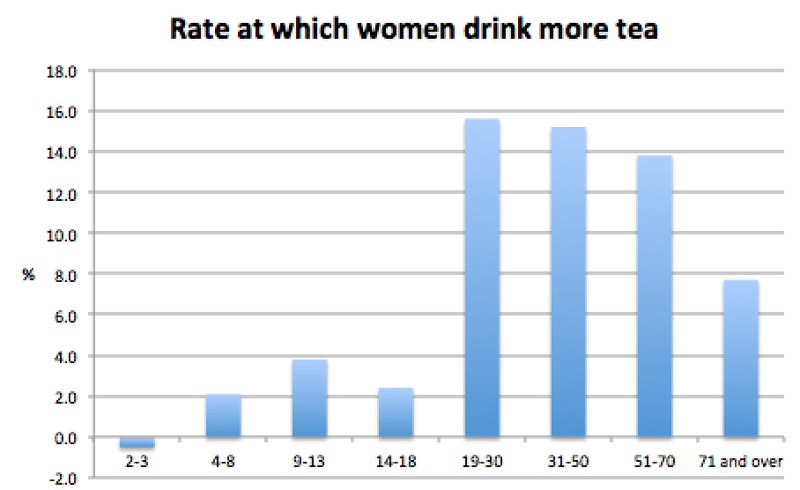 In that category, women were nearly twice as likely to have sipped a cuppa as men. 35.6 per cent of women vs 20 per cent of men. 3. For food, the manliest thing there is, is breakfast cereal, and this is especially so in the nutri-grain demographic, 9-13. 4. Meanwhile, and lastly For women, the biggest skew is in a little, tiny, unimportant category you’ve probably never heard of. Fruit. 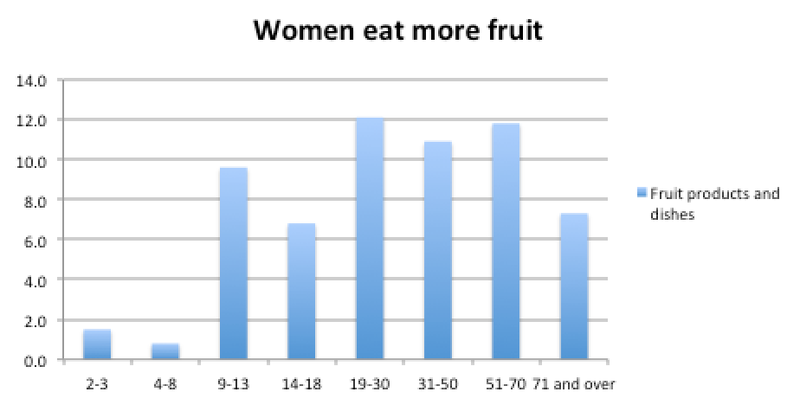 Across the age groups, 10 per cent more women had eaten fruit in the preceding 24 hours. Damnit, men, why’ve you got to be so stereotypical, eating nutrigrain and beer your whole lives and toppling off the perch by having a heart attack?! Anyway, it’s Friday so I should probably not lecture you any more about this. See you at the pub. The oldies may not be so keen on water, but I’d be asking just how many cups of tea this represents across the day. I suspect that’s where they’re getting their hydration! My Gs used to have a schedule that included about five cups of tea and two of coffee, over the course of a day. No need for water when you’ve got that much tea-drinking time on your hands!